Ruan’s eye-catching desk was launched at Milan University during last years Design Week and follows the growing trend to create interior spaces that can be shared by humans and pets. 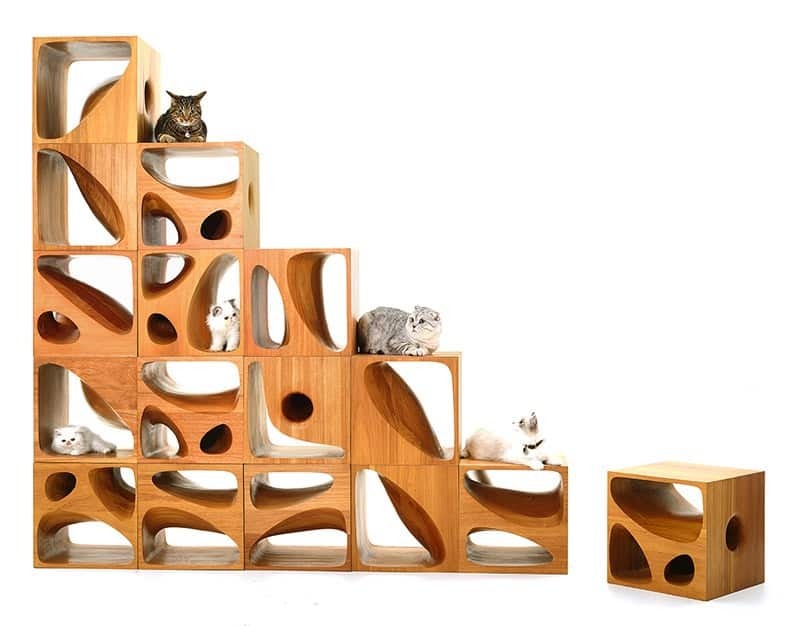 LYCS architecture crafts CATable 2.0 for the design conscious cat lover. 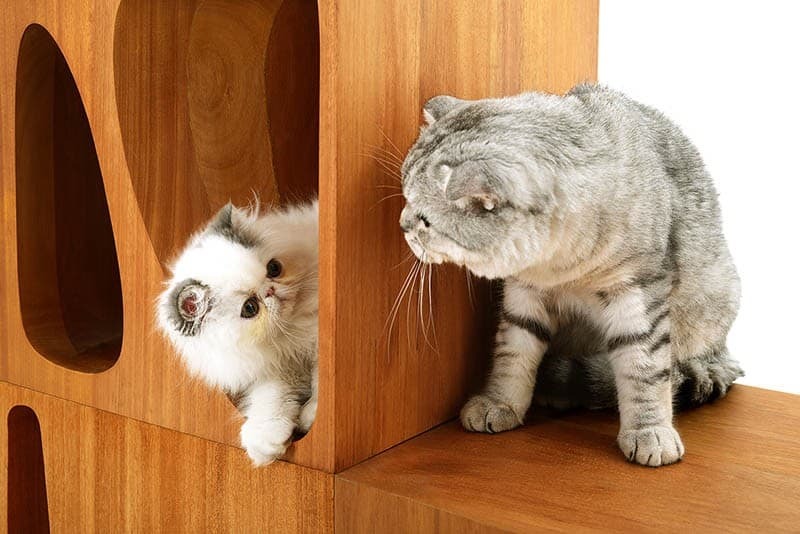 Last month the project returned to Milan to showcase the CATable 2.0, four beautifully crafted cubes that boast similar hideouts and paths for your furry friends. 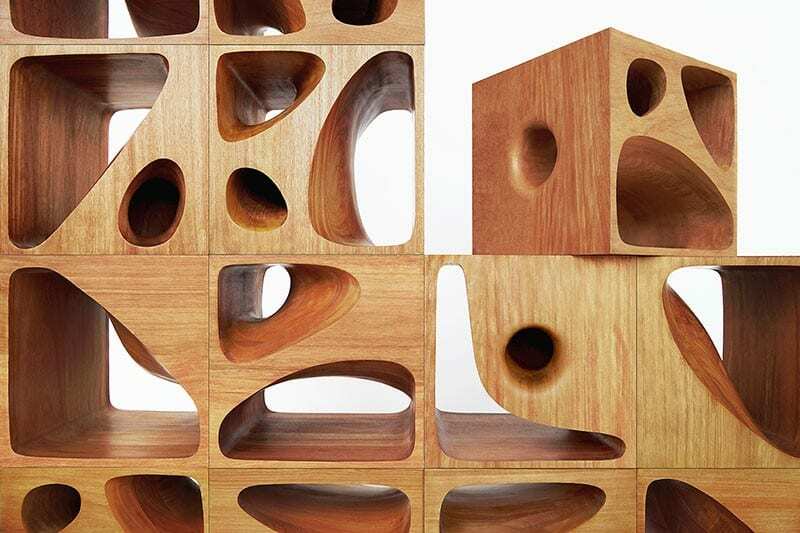 The desingers presented as a series of four wooden cubes, each display different holes that have been carved out of its form. 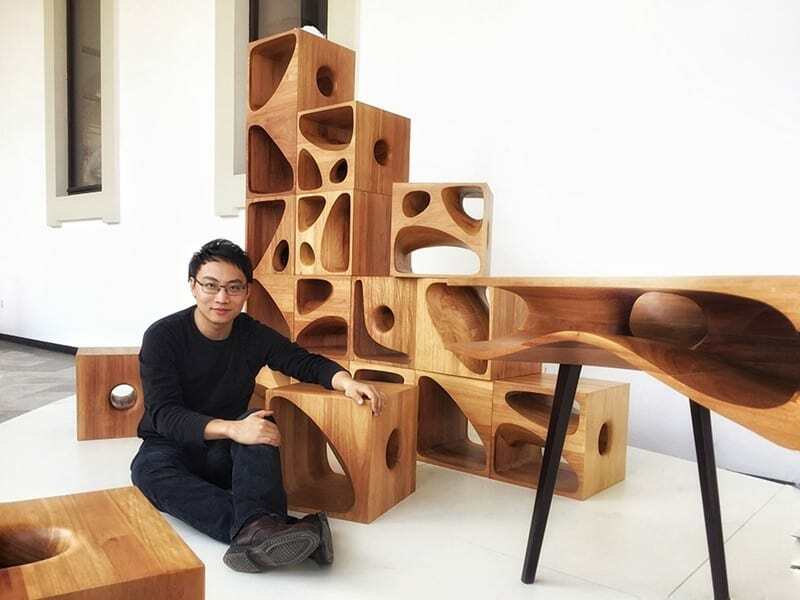 encouraging cats to freely explore, lie and meander through, the cubes are designed to be stacked or placed in whatever way the owner chooses, making the design adaptable as stools, a side table and even a book shelf. 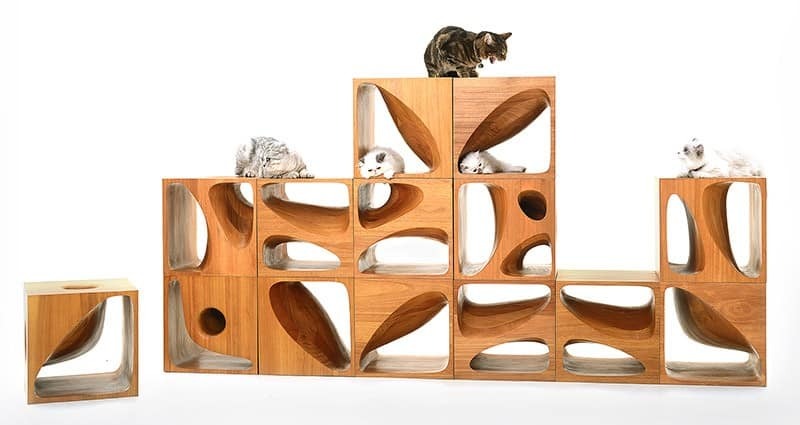 CATable 2.0 is a sculptural wood cubes designed for playful cats. 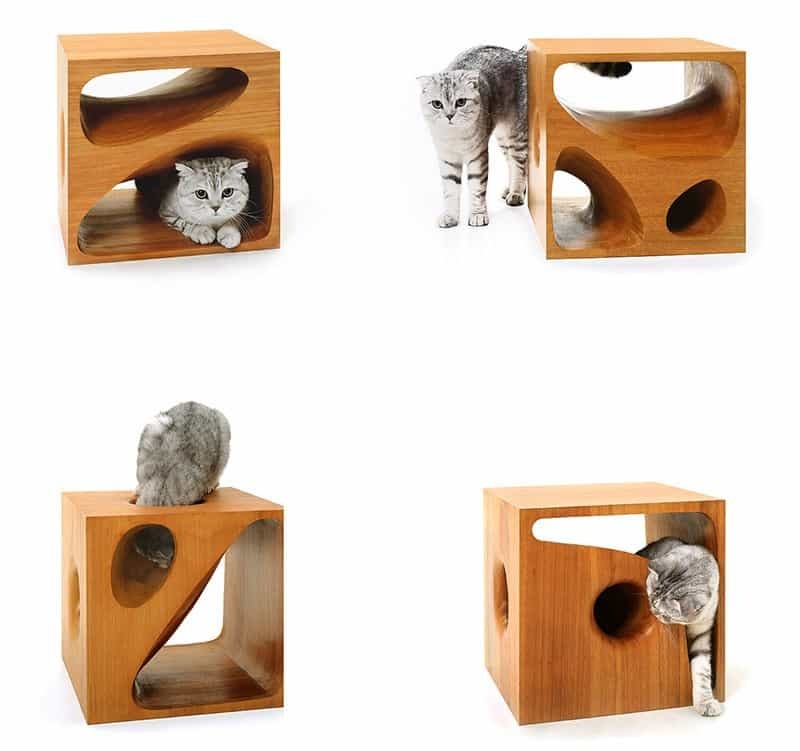 CATable 2.0 is a collection of stackable wood cubes that have small spaces for cats to hide and play inside of. 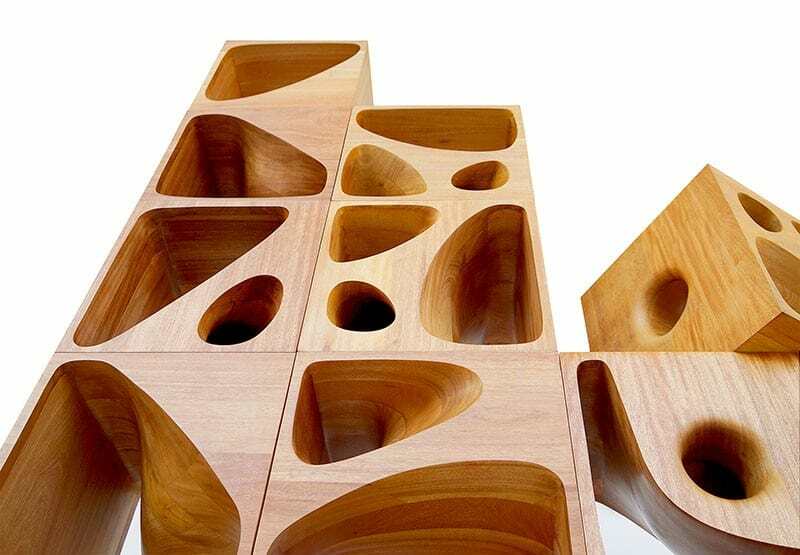 Each cube measures 40cm x 40cm x 40cm and can be used as a stool or freely assembled to create furniture like tables, sideboards or bookshelves. We’d really like to have a few of these around.